QCOSTARICA – Driving into San Jose, in the area of the Juan Pablo II bridge of the autopista General Cañas, will get complicated in the coming days with the return to ‘normal’ traffic conditions. 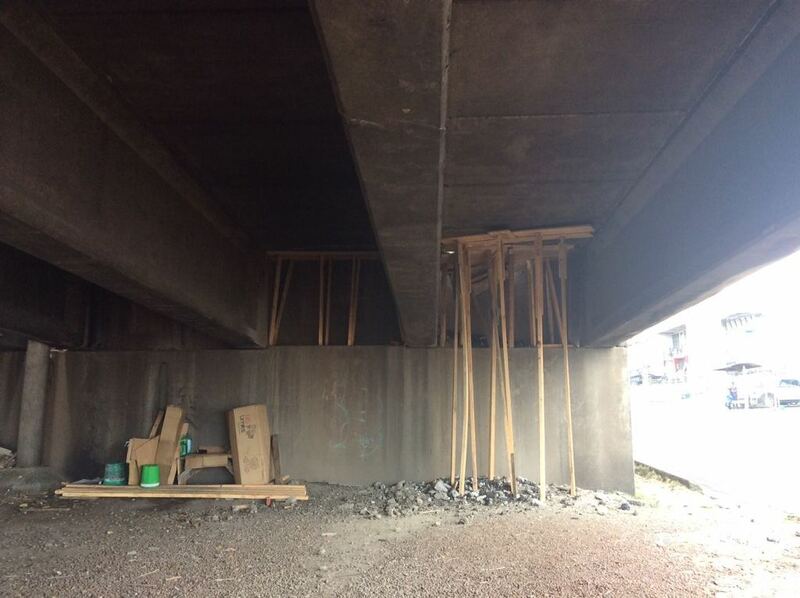 A giant hole on the bridge has caused one of the two lanes to be closed to traffic. 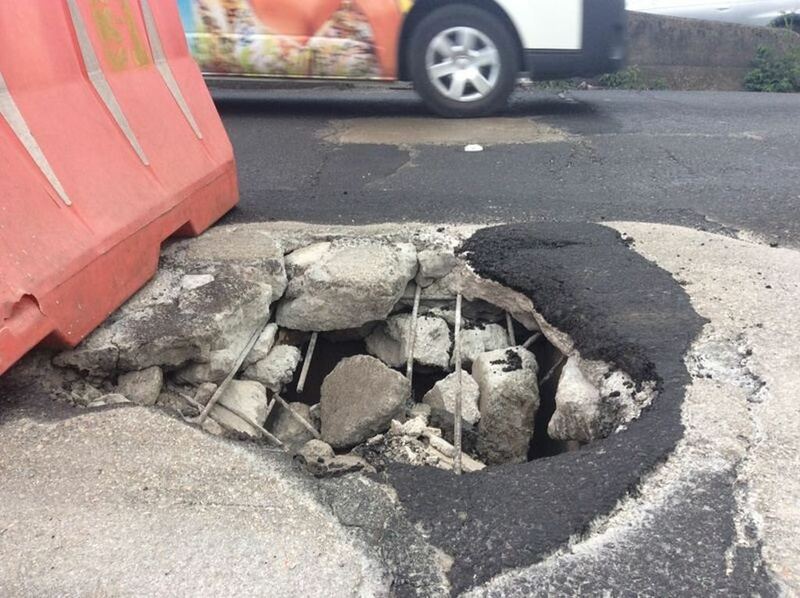 According to Diego Herrera, head of the San Jose detachment of the Policia de Transito, the ‘crater’ was detected early Wednesday morning. A temporary repair, the pouring of concrete to fill the hole, did not take. Since 2012, the Laboratorio Nacional de Materiales y Modelos Estructurales (Lanamme) de la Universidad de Costa Rica – National Laboratory of Materials and Structural Models of the University of Costa Rica – warned of the need of an intervention on the bridge, that sees a traffic volume of some 90,000 vehicles daily. 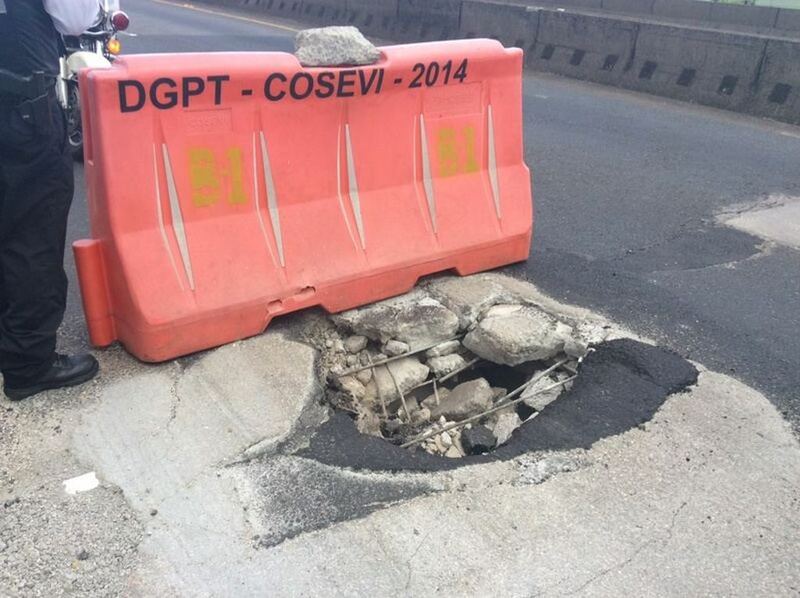 A permanent fix to the bridge is not expected until next week, when the CONAVI, the roads council of the Ministry of Transport, is back to work. The Juan Pablo II bridge is only a few kilometres east of the Virilla or ‘platina‘ bridge, which has undergone numerous repairs, all unsuccessful. 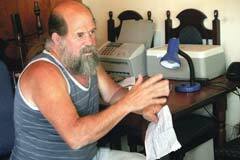 The General Cañas is part of the San Jose – San Ramon road rebuilding project that has been bogged down in “Tramitomania”, a special kind of bureaucracy (red tape) that is taken to the extreme in Costa Rica.